Hardcover edition of L.B. 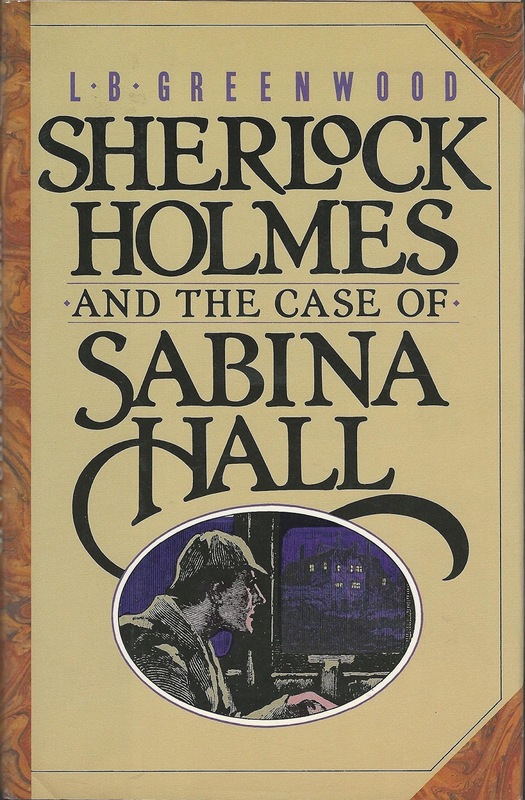 Greenwood's second Holmes pastiche from 1988. A paperback was released a year later. Greenwood's second borrowing from Sir Arthur Conan Doyle tops her first, Sherlock Holmes and the Case of the Raleigh Legacy. As narrated by Watson, this is a more plausible and twisty tale, set off by a note from Holmes's university friend, Aubrey Tyson, which takes Watson and the detective to Sabina Hall, the home of Tyson's elderly, ailing Uncle Silas Andrews. The nephew wants a doctor to check on the old man, and Watson obliges, accompanied by Holmes whose antennae correctly alert him to intrigue. The miser Andrews dies of poison, and so does his sister-in-law and heir, Bertha Garth. Not until a third death occurs does the sleuthing genius separate the guilty from the innocent. Among the suspects: a cheeky maid incongruously far from her Cockney neighborhood; ingenuous young Agnes Meredith, Garth's companion; a clergyman, visibly relieved when Garth dies; and Old Neb, whose lucrative business Andrews had closed, throwing the villagers on the dole. The source of the poison, thujone, from the savin juniper, plays an interesting part in the solution of the case.